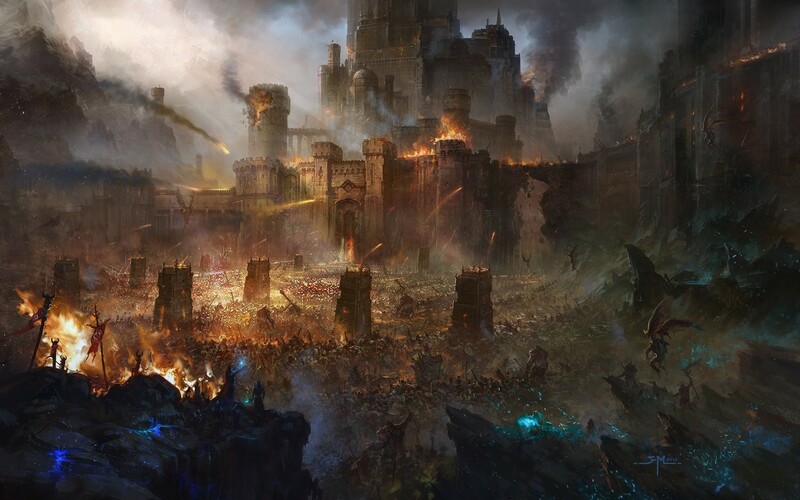 Does the image below indicate how city sieges will be implemented? How do I delete a double post? Agreed. 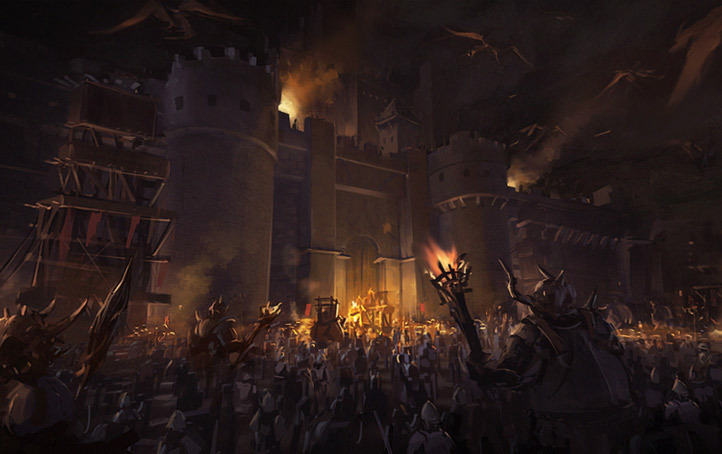 City sieges are pathetic at best, horrifying at worse. Really? You can't increase the quantity or quality of soldiers? Even if you've created battlements for the town, they rush outside to fight in the open? The battlements can fire upon the enemies several paces away but as soon as they go into the siege, the battlement soldiers take a break? To be fair, AOW3 is basically a tactical combat game. It would be unfair to expect a game that focuses on the strategic layer to meet the same standards. My point is that the settlement's defenders should be behind its ramparts, rather than in front of them. The implementation of this doesn't necessarily have to be as visually sumptuous as AoW3 (although it would be well on its way to being the perfect fantasy 4X game if it was). 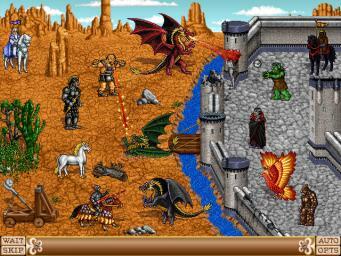 Heroes of Might & Magic has managed this since at least HOMM2, in 1996, please see below. I'm sure that Sorcerer King, in 2015, could place the settlement's fortifications in front of its defenders. In fact, as far as I know, the Elemental series are the only fantasy strategy games that fail to do so. Castles are essential to the fantasy genre and I'd like to see them depicted as playing a role. It would have been puzzling, in Return of the King, if Gandalf & co had completely vacated Minas Tirith's towering walls, before any battle had begun, to rather stand behind some sticks in front of the fortress. I don't think you are going to see that. Seems like Brad's vision is quick, down-n-dirty tactical battles. That is pretty much the same reason we don't have line-of-sight or ranges. With that in mind it seems unlikely that something like needing to knock down walls will come into play. Then, sadly, I'll just have to keep on waiting for that perfect 4X fantasy game that combines both strategic and tactical elements, without scrimping on either. Mayhap Worlds of Magic can do it, though it looks like there's still much work to be done before its March release, or hopefully the next AoW3 expansion will add greater strategic depth. I don't want extensive tactical combat, but it does seem a bit weird that you get more choke points when fighting in an open field than when defending your city. Maybe just a wall across the middle of the field with a 2-square opening? This would make it feel a bit more like your were actually in the city defending it and emphasize the importance of ranged units both in defending and attacking a city. Interesting. If I could just add a few words. The way that cities are visualised in the game seems odd. So much of the energy of the game is spent in managing small groups of units. Then the battles are fought in a turn-based JRPG style. On the other hand, I visualise the city as being large...with thousands of inhabitants or hundreds at the very least. To have one unit or a few units attacking/defending a "city" just looks wrong. A full sized army would have to attack a city. I think the word "city"just doesn't seem to fit properly. I can just about get along with the visualisation of towns in Fallen Enchantress : Legendary Heroes because they are places where your parties go to recover from their wounds or hire new recruits and to buy stuff. It seems like a RPG type experience of cities. If there is a battle, it is fought in the streets. Very RPG. 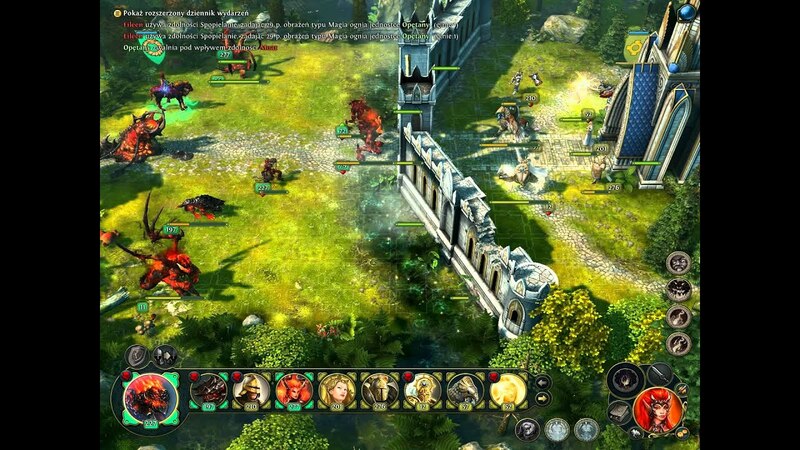 In Sorceror King I get the RPG feel and, I really like it very much indeed. I think that the settlements in this game should simply be hamlets or small villages. This goes with the scale of the "party based" experience and increases immersion. To go along with this, I would particularly like to request individualised looking settlement pictures and the removal of the "Disneyland" castle which looks so very generic. If you think about it then each settlement is going to appear different. One of the things I don't like about age of wonders 3 is that the cities look the same, even if they are rendered in 3-D! I think that the visualisation of settlements should be done with a distinctive individual picture. The model on the map to represent the settlement should not be rendered as a generic castle. Sorry to be negative but I really like this game very much indeed I would love to see it move away from the direction it's taking in relation to cities. Maybe just a wall across the middle of the field with a 2-square opening? That would definitely be an improvement. This would work better with the flimsy looking wooden barricades currently representing the settlement's defenses. If settlement sieges are not going to be improved, then, at least, please remove the hulking fortress in the background. If it's there, then why aren't defenders taking advantage of it? 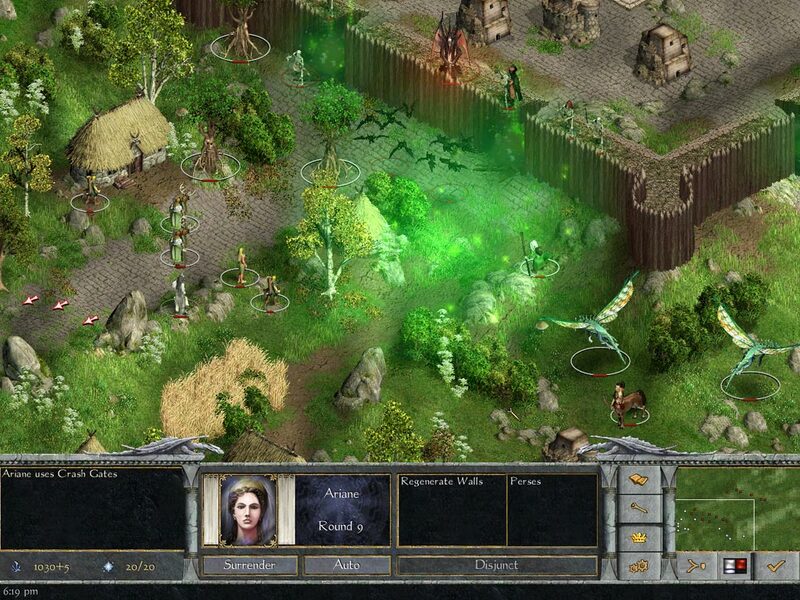 "- This Mod removes City Archers from the game and replaces them with towers. These towers are ranged units that will defend your cities and scale much better over time. Along with some small bonuses over city archers they mainly have much higher defense and they will use the best bows available. Upon death the units in the tower will die and no other units will be able to walk on the tower tile." And yay to tjashen for the mod list! Yes this is true about other games. This is a rpg though and sieges are not RPG. The idea of "cities" has to be done away with, I think. Oh dear, I thought it was a 4X strategy game? I don't think that it is a mandatory requirement to have cities in a 4x strategy game. What is your world scale? Is it a world with armies and supply convoys and fortifications? Or is it a scale of villages, groups and barricades? I like the total war games with their epic scope and thousands of units per army. You can sometimes feel you are like a general commanding an army! But I don't feel the same way about this game. In all of the examples that are given in your photos we have the bizzare visualisation that a few units are representing something much much bigger and it just looks "wrong", to me at least. I do like all of the games that you have posted images of and I have played most of them...but the city sieges in this game do not have to be the same. One example that you did not show is in the Disciples games where the city is defended by a massive single unit (rather like a titan) that can only be overcome by a highly upgraded and numerically stronger force. The main locations are almost impossible to take by siege. It is a different approach but not necessarily a better one. I think the idea of a "city" is a bad one in a game with the scale of the units used here. I can see the city as a backdrop or a staging point in an RPG sense. Now the idea of a 4x without cities to conquer may seem rather usual but it is about scale. A village could be a strategic location. I'd be happy if your suggestions were implemented. I.E. I agree that, hitherto, all turn based, fantasy, strategy games have required a suspension of disbelief in their depiction of battle - where an individual unit or small group of units represents a larger battalion. I'm ok with this suspension of disbelief, up to a point, it has, after all, always been a feature of TBS games since Civilization I. What I'm not happy with is the screenshot below - where there is an enormous fortified structure in the background, which the defenders have inexplicably abandoned. My suggestion is to either completely remove the castle/city walls and have the defenders guarding a hamlet/village, fortified with sticks (as below) or in its streets (as in Legendary Heroes); or keep the castle/city walls and place the defenders behind & atop these, which would still be my preference and wouldn't require the additional work of having to change castles to villages on the strategic map. An interesting reply. I understand what you are saying. 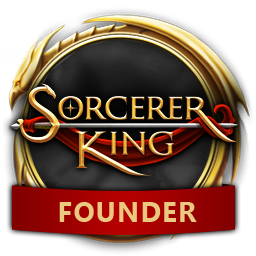 The existing system in Sorcerer King does not work and a change needs to be made by the developers. You got that right! (Really, you do). Awesome! So is it epic storming the Sorcerer King's citadel that he's had time, after crushing all opposition before the game even begins, to make nigh impenetrable? The battle with the SK takes place on a large battlefield with some rocks to break the flatness of the field. No castles or the like as far as I remember. Oh dear, so not even..
Are the castles on the strategic map, in actual fact, inflatable jumping castles - that the defenders have to stand in front of in a desperate attempt to prevent punctures?